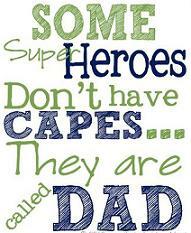 Father’s Day Worship Service, Sunday, June 21st. at 10:00a.m. Sunday, June 21st. at 10:00a.m. Celebrate Father’s Day with Bagels. The Deacons will host a bagel breakfast for Father’s Day. Come and join us for morning worship and afterwards come on down to Miles Hall for a special breakfast to celebrate “Dad”. This entry was posted on June 16, 2015, in Upcoming Events and tagged bagels, celebration, congregation, dad, faith, father's day, fellowship, following, Honor, Meet God & Friends Here, meet god and friends here!, service, The First Presbyterian Church Of Levittown, welcome, worship, worship service. Bookmark the permalink.